Vintage Australian Old Colour Postcard. Australia, Adelaide, Main Walk, Botanic Gardens Botanical Garden, Women Statue Statues. Sculpture. Fountain. 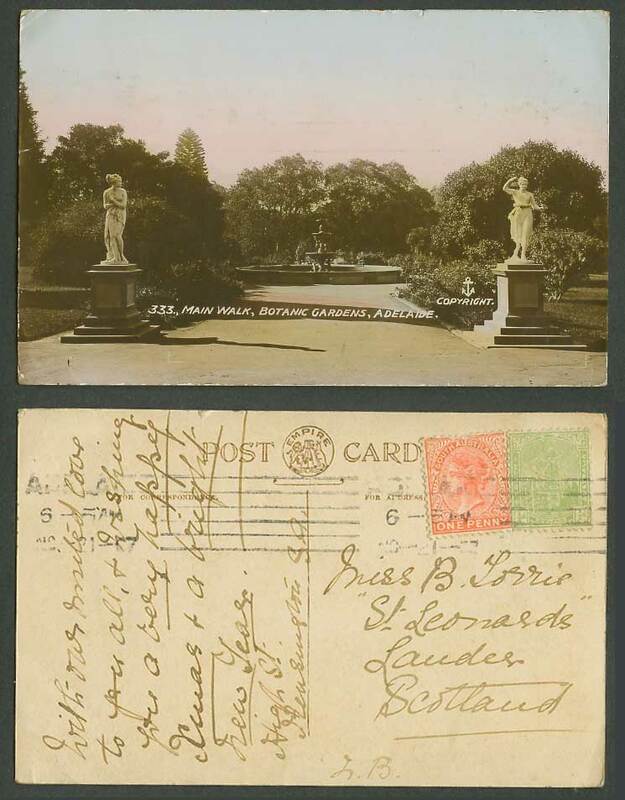 Postally Used in 1907 with 1/2d and Queen Victoria 1d stamp, tied Adelaide.